Elegant extra long satin gloves add an elegant touch to any formal wear. Yellow is great for Belle or other costumes too. 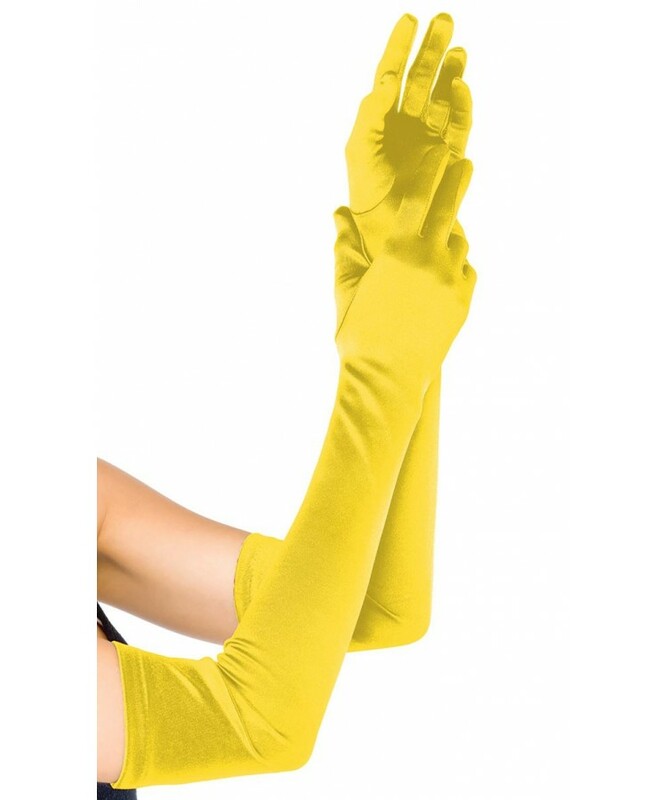 These extra long Opera gloves come over the elbow to about mid upper arm. Stretch satin fits just about all adults (and most teens). Item Number: LA-L16B-YL | Approximate Size (Inches): 8.00 wide x 1.00 deep x 10.00 high | Approximate Shipping Weight: 0.50 lbs.